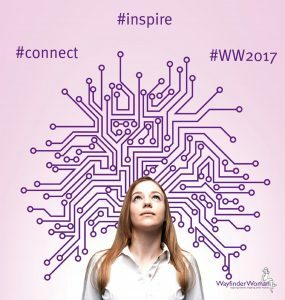 Last week the Red River team had the pleasure of sponsoring and attending the 2017 Wayfinder Woman Conference. I thought I’d share some of my own key takeaways from the day. Firstly why did we choose to sponsor? Well naturally the theme of the event – Inspiring Through Technology – was interesting and highly relevant to Red River. We are, after all a software development company and technology is in our blood. We’re passionate believers that all companies, regardless of industry or sector, really have no option but to embrace technology and adapt their business models around it if they want to survive. And this proved to be the theme of at least two of the speakers at the conference – more on that later. So onto the event itself. This was only the second time the conference has been run but the quality of the speakers was excellent. Mina O’Brien of Ditzy Media made us laugh with tales of her incongruous move from local government to successful social media business owner. And Professor Karen Cham of Brighton University both intrigued and bamboozled (me anyway) in equal measure. Seemingly always several years (at least) ahead of the rest of us mere mortals, the projects she has worked on at the interface between technology, people and media were truly fascinating (mind control anyone?!). Katie Diacon, ex-RAF engineer and now owner of a number of online businesses delivered a speech focusing on the rise of tech and its impact on traditional business, which really resonated with us. She passionately argued that the pace of technological innovation is becoming so rapid that almost no area of business will remain unaffected. As consumers, our desire for better, faster, easier and cheaper will change the face of the high street beyond recognition and drive almost all other much more traditional industries to innovate with tech, or be left in the dust by more forward thinking competitors and disruptors. Basically become a software company or die! This future thinking also extended into the area of careers, with Katie suggesting that this disruption will see many traditional career paths ceasing to exist – to the consternation of any legal professionals in the room, I’m sure! Continuing the theme of digital disruption, Alistair Wickens, CEO of roadtohealthgroup talked about the rise of healthcare apps and their impact not just on business but also on human health. Alistair is the creator of the Quealth App, one of the top 100 global apps, designed to help manage and reduce lifestyle-driven illnesses. He’s betting that personal health technologies will not only become hugely important in improving the well-being of the population, but that the knock-on effects could help to reduce the pressure on the NHS and other healthcare services. Noble stuff. The flipside to this is likely to be the repercussions on other connected businesses such as health insurance providers. What could this mean for them and are they willing to adapt for the future? One of Alistair’s key messages was that in a world that is changing really quickly: the only strategy guaranteed to fail is not taking risks. And that means embracing technological change, whether you’re a disruptor or a traditional organisation. Finally the headline speaker on the day was Dame Stephanie Shirley. Dame Shirley was an early information technology pioneer during the 1950s, at a time when it was highly unusual to find any women working in this field at all. Despite this, in 1962 she set up her own IT company which became Xansa, a business with a multi-million pound turnover, later acquired by Steria. Dame Shirley is a world-renowned speaker, author and philanthropist and surely one of the most inspirational women in technology. Her journey of building a business in tech, overcoming sexism and encouraging shared ownership of her company was delivered with warmth and humour, and was well received by everyone. One thing we had hoped for on the day was the opportunity to meet some potential employees – this didn’t happen, but perhaps it wasn’t really that sort of event. We are still recruiting for some developer roles at Red River, and if we can find some smart women to fill them then all the better – if that’s you, drop us a line on [email protected] and ask for details. That aside it was a really enjoyable and inspiring day, and we have to say thanks to Laura Murphy and the Wayfinder team for organising it and inviting us along. We look forward to next year’s event.